The cost ranges from $100 to $160 for a single round on Leopards Chase. 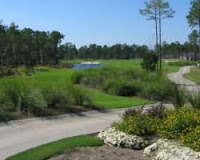 However, if you book multiple rounds at the resort, the price decreases with each additional course. Feel free to call me at 888.333.6079 to discuss further.